Thinking of upgrading your locks, but unsure what to look out for? We’ll take you through all you need to know. For reassurance that your lock can withstand common lock breaking attacks, upgrade your locks to a cylinder that displays the BSI Kitemark. Locks that display the Kitemark mean that the cylinder has been tested to a high standard and has been certified by the British Standards Institute (BSI). It may surprise you to hear that it takes only minutes for a burglar to break a standard cylinder. So it’s vital to upgrade your cylinders to ones that are designed to protect against common burglary attacks. When upgrading your cylinder, look out for the Kitemark symbol. A Kitemarked cylinder will protect homes from common cylinder attacks; however intruders are becoming smart in their methods of breaking a lock. 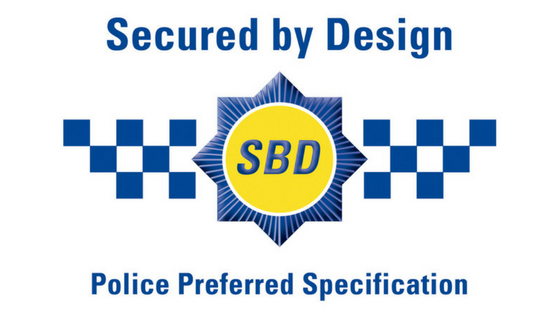 Having a cylinder that meets the highest standard – 3 star security rating – can provide maximum security from all known methods of forced entry, including cylinder snapping manipulation, picking and lock bumping. 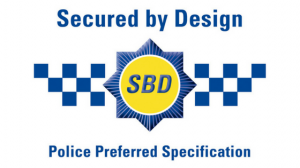 Secured by Design is the UK Police crime prevention initiative which aims to tackle burglary and criminal damage with improved home security. In line with the Secured by Design initiative – The TS007 standard was launched by the Door and Hardware Federation (DHF) and the Glass and Glazing Federation (GGF). 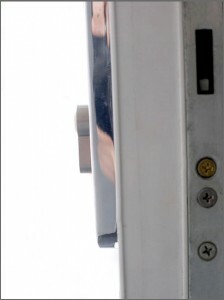 To meet the TS007 door security standard, you must install a cylinder or combination of cylinder and hardware with a cumulative total of 3 star security rating. Here at Max6mum security you’ll find 1 star Kitemarked cylinders designed specifically to defend against common lock breaking techniques. They feature a patented anti-bump system, anti-pick and anti-drill pins as well as sacrificial cut lines, so when the cylinder is attacked it won’t break away in the middle leaving the weak part of the lock exposed. Combining the 1 star cylinder with the Max6 2* Kitemarked high security front door handle, you’ll achieve 3 star door security. For overall door security, we recommend installing a door viewer and door chain and if you have a letterbox ensure it is anti-vandal or install a letterbox shroud.